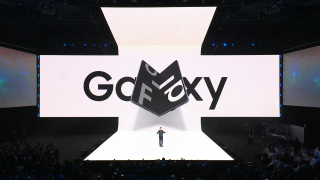 Expect a week of pre-orders and a clutch of freebies when the Samsung Galaxy Fold is launched at the end of April, after Samsung announced more details regarding the release of its newest handset. We already knew that the official Galaxy Fold release date would be Friday, April 26 in the US and that it will cost $1,980. But the company has now confirmed the first 15 European countries that will also be getting the Fold. The official pricing in European territories has been confirmed as €2,000 in mainland Europe and £1,799 in the UK, with both the Samsung Online Shop and EE confirming that it will stock the Galaxy Fold on British shores. While US Samsung fans will be able to get their hands on the innovative new smartphone straight away on April 26, European consumers will have to wait things out with a pre-order phase. Deliveries will be fulfilled and physical shelves will be stocked on the following Friday, May 3. A perk for European customers was also announced, however, with conformation that the new Galaxy Fold will ship together with a pair of wireless Galaxy Buds, a protective Kevlar case and one-year damage cover through Samsung Care+.